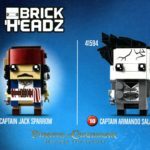 When we first saw official images of the new BrickHeadz theme back in late January, I was very excited. The theme looked fresh, exciting, and had a lot of potential for expansion, as well as being incredibly cute! I knew I had to get them all. As soon as I had some spare cash, I bought the lot (only to realise once I was unpacking the box that I’d missed one – but I’ll sort that out later). 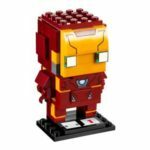 To mix things up, I’m going to be reviewing them in their subject matters – LEGO DC, LEGO Marvel, LEGO Disney, and later on (that is, when I get Jack Sparrow), LEGO Pirates of the Caribbean. 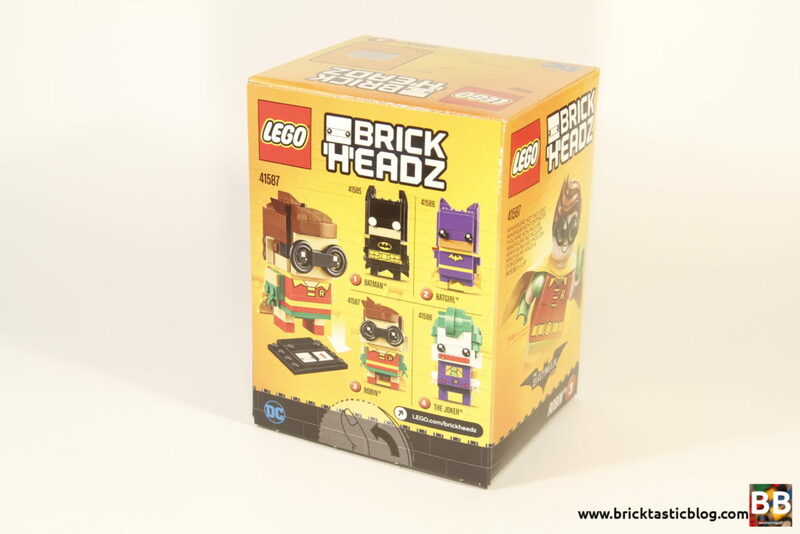 Each section will contain the relevant information for each of the four BrickHeadz in question. 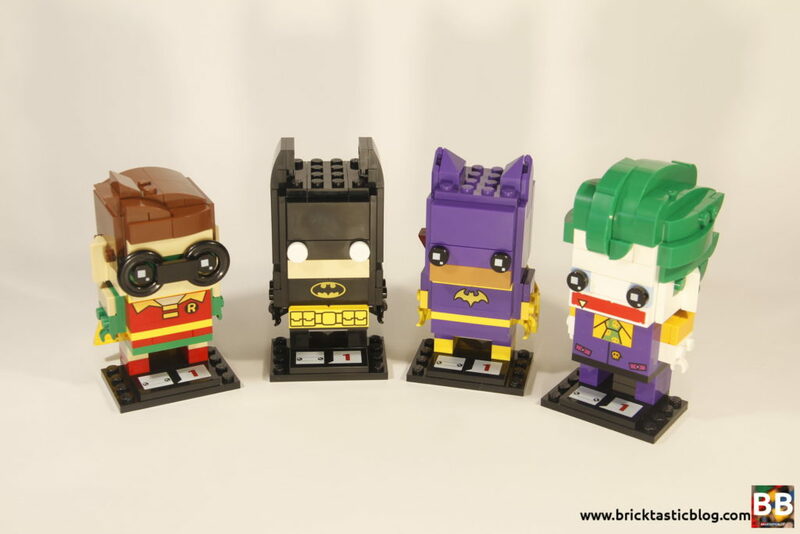 For now, it’s the LEGO DC BrickHeadz, with Batman, Batgirl, Robin, and The Joker. The boxes are nice and small, with pictures of the minfigure equivalents, and the rest of the universe lines as well. They’re bright and bold. The only thing I don’t like about the boxes are the push tabs. These ones seem especially hard to push. Each box has two bags of parts, an instruction booklet, and a 4×6 black plate. 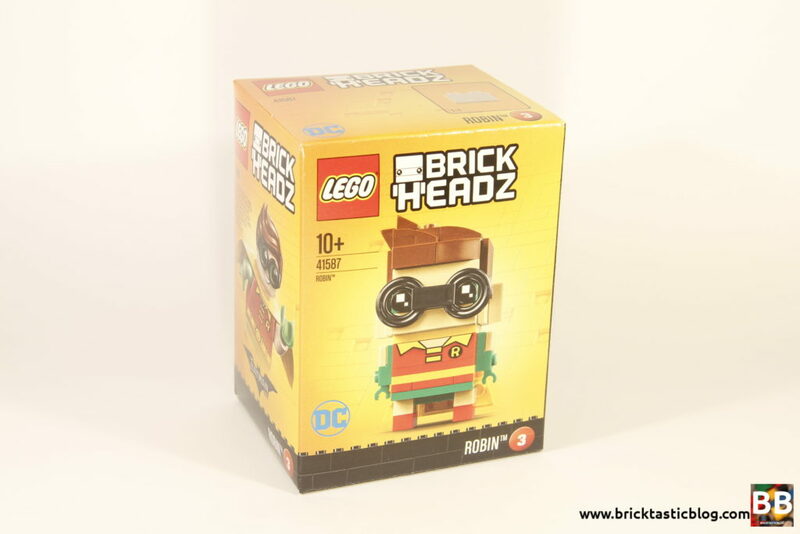 BrickHeadz are great for boosting certain parts in your collection. 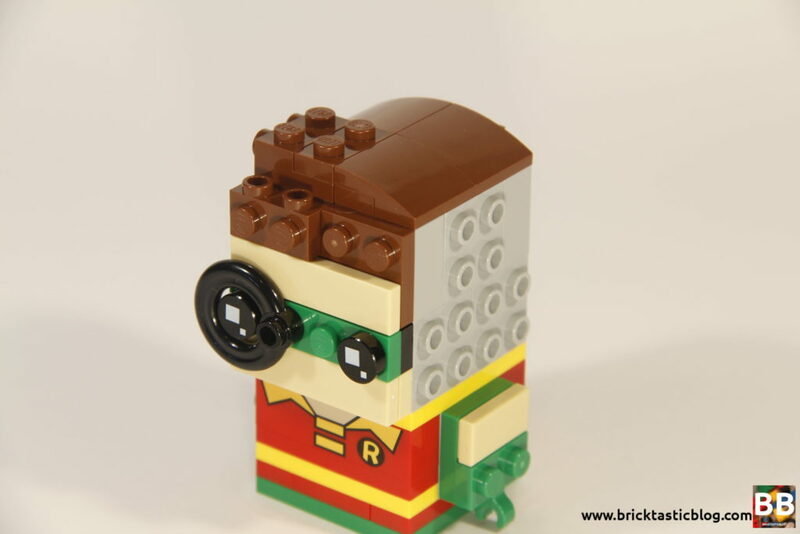 The standards in every BrickHeadz include the printed 2×4 tile with the BrickHeadz logo (his name is “Nonnie”, and you can build him! 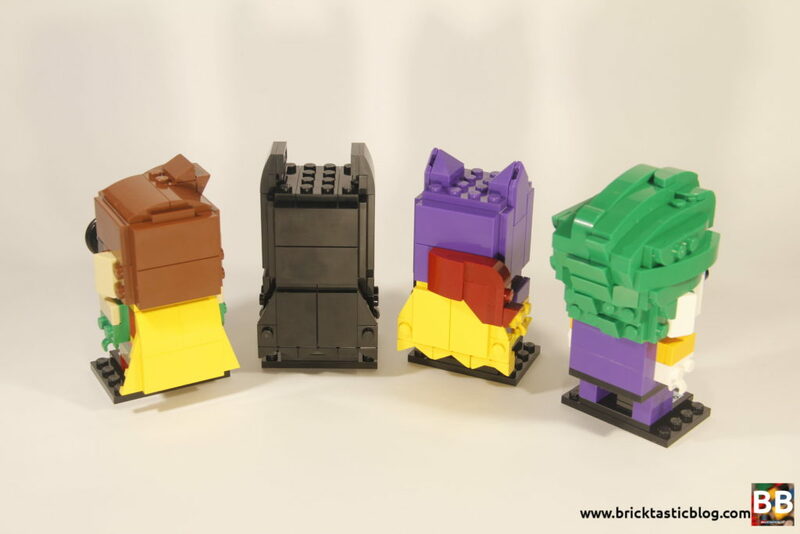 ), and the series number), plenty of different tiles and plates in various colours, some excellent printed elements, the BrickHeadz eyes, innards (yep), and a good selection of the 1x2x1 bricks with four studs on the side. It’s a great amount of goodies! 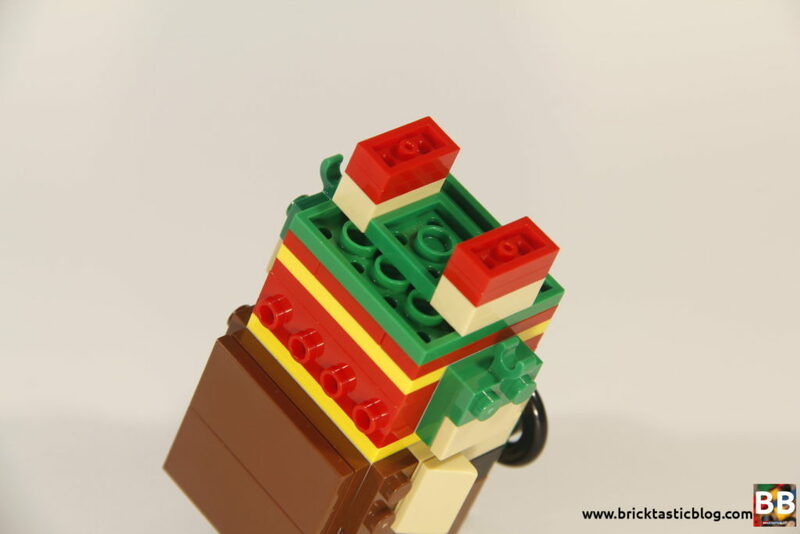 I absolutely love the fact that the BrickHeadz have innards. There’s a pink 2×2 brain, with a little spine. It’s very clever, and funny too. I wouldn’t say zero, but there is very little playability with these guys. They certainly wouldn’t be your first choice. For a small build, it’s a very rewarding process. It’s a lot of fun to see these characters come together. 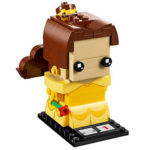 The added cuteness of them really adds to the build value. It all starts with the torso. 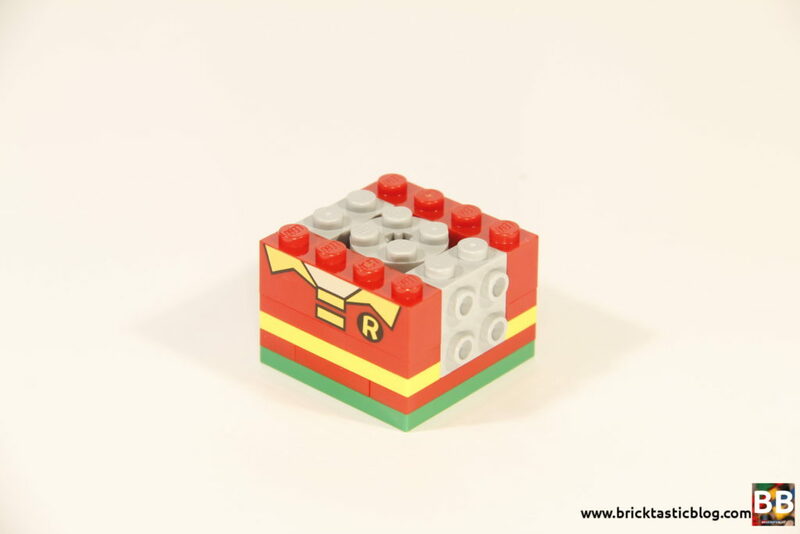 Some basic plates are added to a 4×4 plate, with a couple of SNOT bricks for arm additions. The outer structure comes first, with two interior round 2×2 bricks through the middle. Another 4×4 plate is added, followed by the very simple arms. 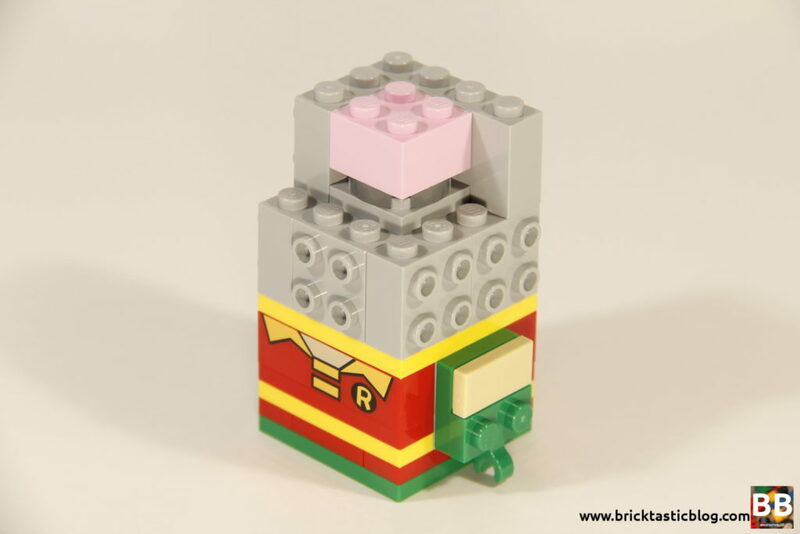 The SNOT bricks are added as a base for the head, with the brain and more spine being slotted in. 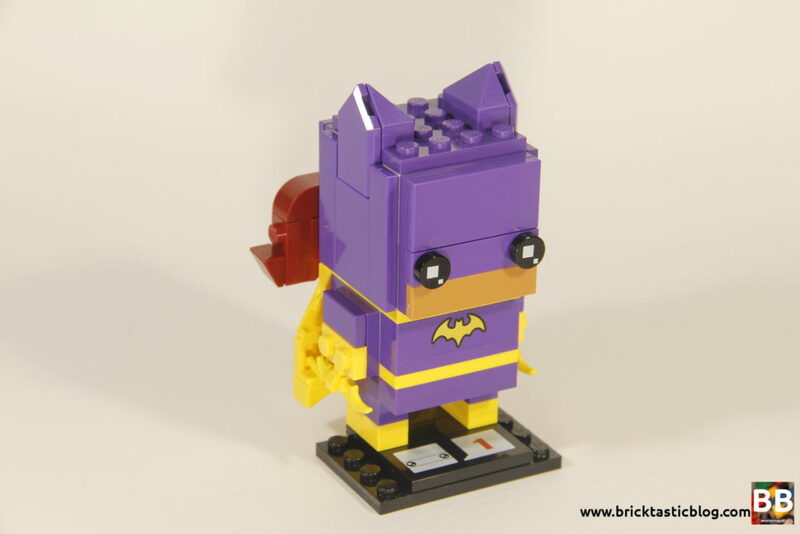 Then it’s a matter of adding the detail to the head, followed by a cape, if the character has one. In this case, only The Joker missed out. He’s got a great amount of hair, with some simple SNOT thrown in there too. The final stages are the legs, followed by the stand, and there you have it! It’s quick, and a lot of fun. 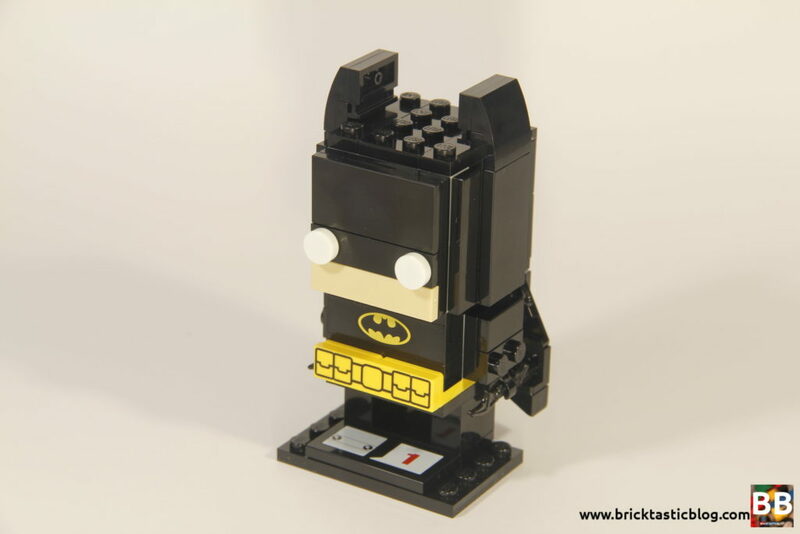 A great build for doing in front of the TV, or if you want a quick LEGO fix. For $16, these sets are a steal. 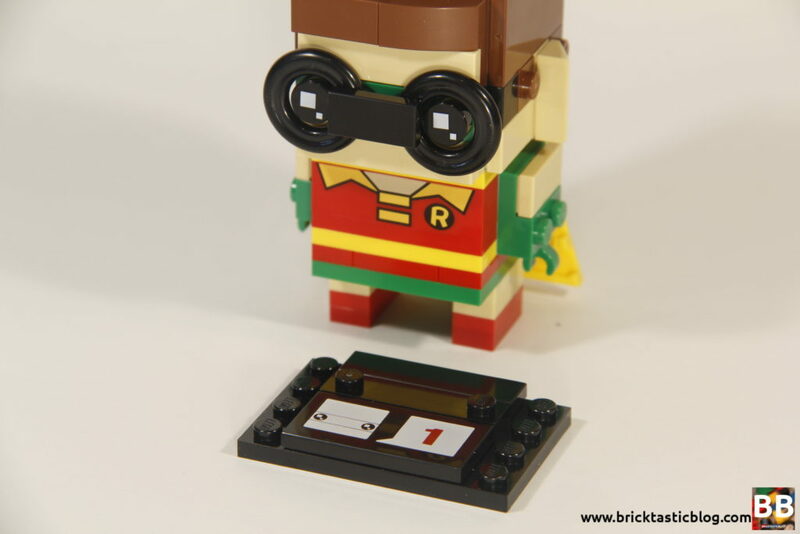 There are some great elements included, with printed parts, tiles, and ever useful SNOT bricks by the bucketload. It’s a quick build, with easily recognisable characters. I think these are the perfect stocking fillers for Christmas, or cheap birthday present. Definitely worth the money. These have collectibility written all over them. With what looks to be multiple series planned, a huge range of characters to choose from in the future, and plenty of people being inspired by them to create their own characters, I would recommend getting in quick to snap up a set of the first series. I see big things for these little characters. 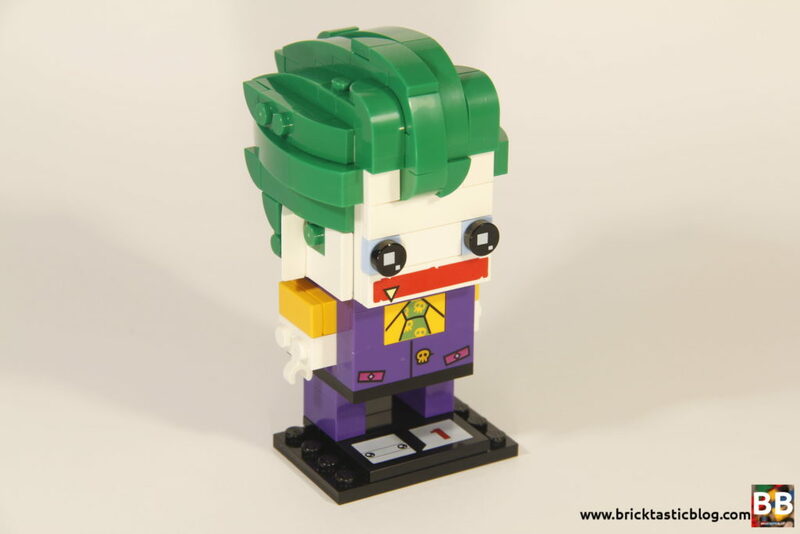 Are you a fan of the BrickHeadz theme? Which ones are your favourites? Next week I’ll be taking a short break from reviewing, as I’ll be away for the weekend, but I’ll be back the following week, taking a look at (finally) 10248: Ferrari F40.